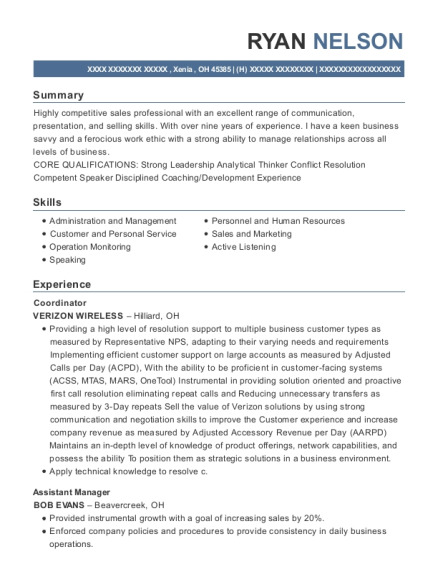 Service-oriented Nutrition Cordinator with 11 year background in Food/Nutrition Services. Core competencies include strong motivational skills, commitment to first-rate customer care and quality support in food safety as well as excellent communication and time management skills. Handles tasks with accuracy and efficiency. Advise managers, desk clerks, or admitting personnel of rooms ready for occupancy. Direct activities for stopping the spread of infections in facilities such as hospitals. Present bills and accept payments. Conduct meetings and collaborate with other personnel to plan menus, serving arrangements, and related details. Perform some food preparation or service tasks such as cooking, clearing tables, and serving food and drinks when necessary. Keep records required by government agencies regarding sanitation, and food subsidies when appropriate. Test cooked food by tasting and smelling it to ensure palatability and flavor conformity. Arrange for equipment maintenance and repairs, and coordinate a variety of services such as waste removal and pest control. Establish and enforce nutritional standards for dining establishments based on accepted industry standards. Coordinating meals services for all units. Supervising 40+ employees for 800+ bed facility. Responsible for communications between hospitality associates and Food and Nutrition Services regarding patient menus, therapeutic diet changes and general patient services, educated patients about meal choices based on diet orders. 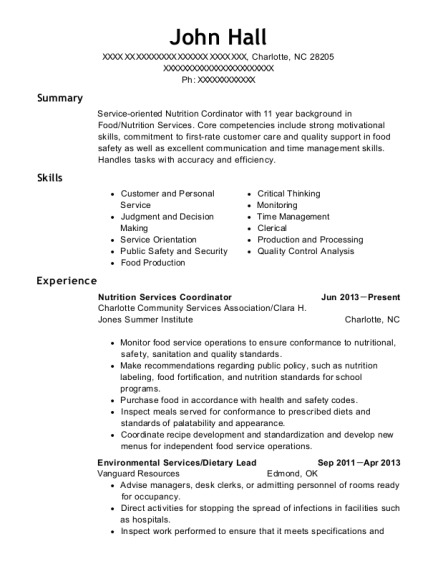 This is a resume for a Nutrition Services Coordinator in Charlotte, North Carolina with experience working for such companies as Charlotte Community Services Association and Clara H Jones Summer Institute. 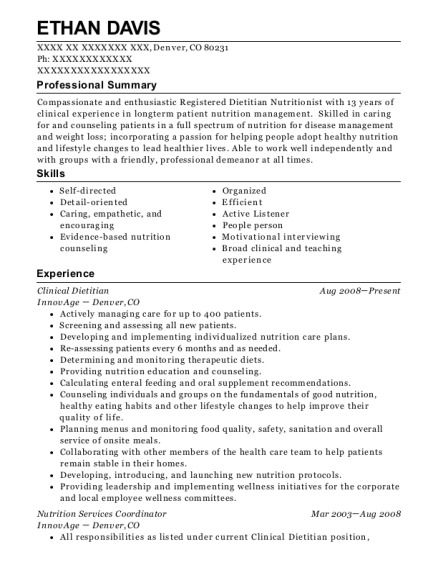 The grade for this resume is 0 and is one of hundreds of Nutrition Services Coordinator resumes available on our site for free. 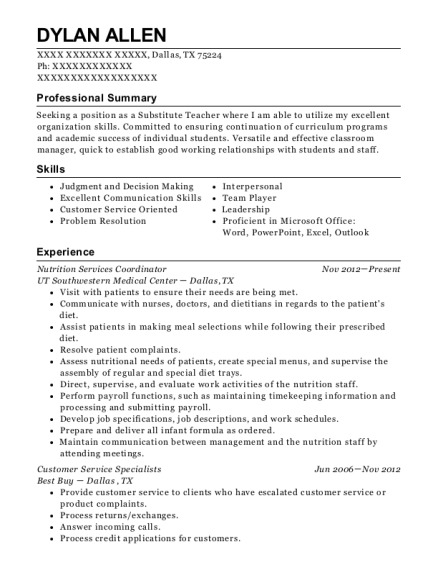 Use these resumes as templates to get help creating the best Nutrition Services Coordinator resume.